If your website isn’t performing well, you could be making this one big mistake. It has nothing to do with layout, SEO or images. In fact, you could have a beautiful website and still have this problem. 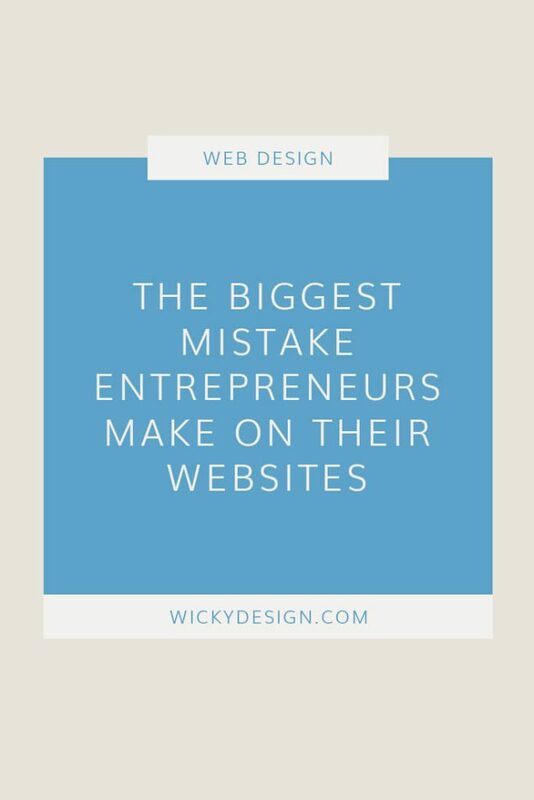 So what’s one of the biggest mistakes I see small business owners and entrepreneurs making with their websites? Talking too much about themselves. And you are right…sort of. Your website is for your business, but it isn’t actually for you. It’s for your clients. If you want to get more leads and more customers, you really have to gear your website towards them. That means talking less about yourself and more about what you can do to help them. Think about it. When you do a Google search, you are hoping for a solution to a problem. You land on a web page and hope it provides you with a solution. Your potential customers are doing the exact same thing when they land on your site. If you are just rambling on about yourself, they don’t have any confidence that you are the person that can solve their problem, so they’ll leave and find someone else. People aren’t coming to your website looking for an online resume. They want to know how you can help them, so you need to make sure you are identifying their pain points and providing a solution that can help them. Answer your ideal customer’s questions. Let them know exactly what you can do to help them. Does your website pass the test? Our free website evaluation will show you what’s working on your website and what things can be improved. Sign up today! Click here to sign up for our free website evaluation!